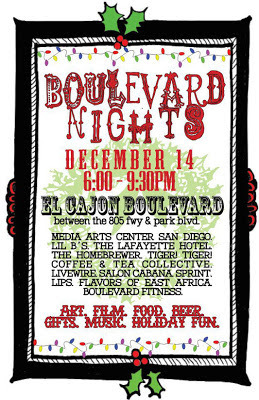 This Friday, I will be vending at the Boulevard Nights in El Cajon Blvd. Come out and check out the festivites! 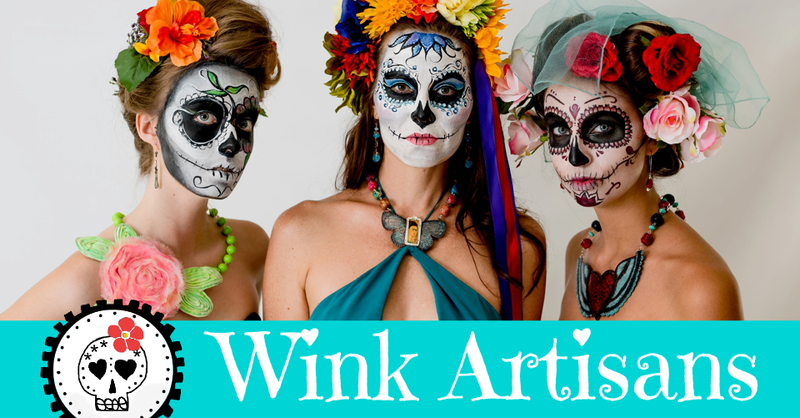 • Live Wire, one of the best decorated bars in town, (which is easy when you have 20 years of leftover lights and tinsel), will serve up their infamous Frito Boats. • Enjoy the sounds of Kora, with music from Gambia as well as Kenyan Chai Tea at Flavors of East Africa. • Stop by Salon Cabana and enjoy complimentary holiday refreshments and live music by Teagan Taylor Trio from 6pm to 7pm! 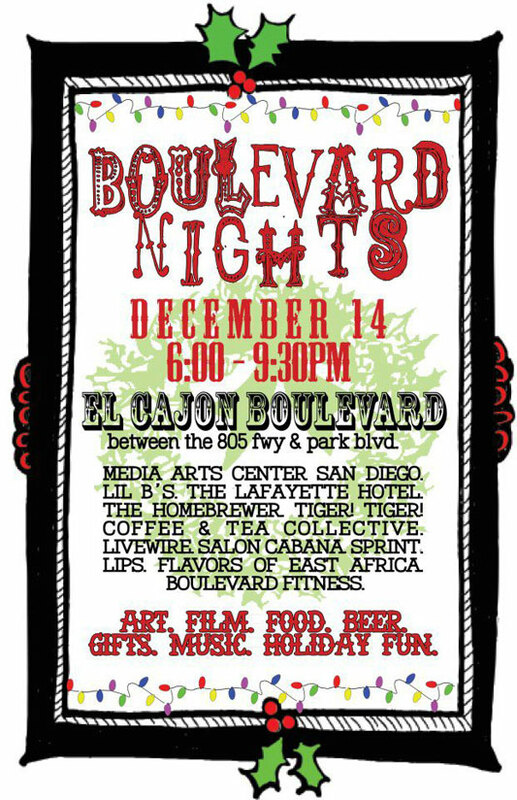 • Take an evening stroll up to El Cajon Boulevard and 30th. Along the way, drop by at Lil B’s, a great new diner on the Boulevard with a retro flair. Their holiday décor is astounding. • Sign-up to judge the Homebrewer’s Homebrew Competition hosted in collaboration with the Media Arts Center and the Coffee and Tea Collective. • Drive-By Cinema, a very irregular project of Pacific Arts Movement, will make a surprise appearance at Boulevard Nights!